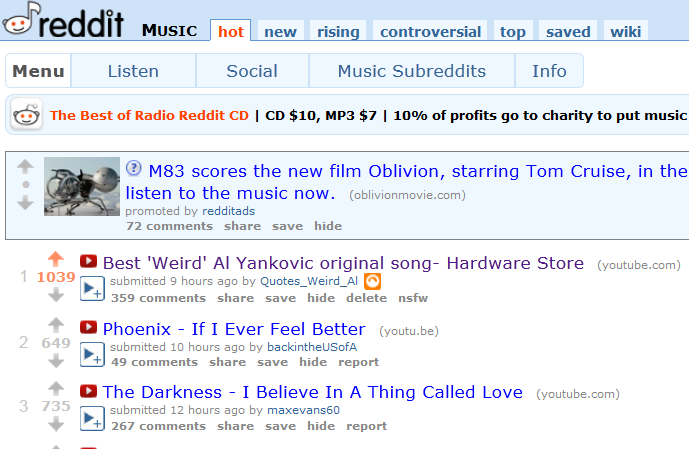 Look what's top post on Reddit Music! Hardware Store gets the appreciation it deserves! Does anyone else remember the YTMND.com meme that synced "Hardware Store" with an animated .gif of Stan from The Secret of Monkey Island yapping away? I love this song! It's so frenetic and upbeat! Too bad he doesn't perform it live being complicated and all. They had actually had it rehearsed at one time! Yankomaniac wrote: They had actually had it rehearsed at one time! Sorry if I am out of the loop, but care to elaborate? A friend of mine said he went to one of the Poodle Hat tour shows, where they basically played a warehouse, and Al teased the audience about the possibility of playing Hardware Store live, but then they played One More Minute instead. As far as elaboration, Steve told me the band had it ready to go and all memorized but they ended up not doing it for different reasons with the set. One reason may be it is hard as hell to pull off but certainly not impossible, never know when it could happen.